My connection with Xperitas has been a deep, trusting, and treasured relationship. The commitment that everyone involved in the organization has to help teachers and students have the richest possible experience is nothing short of remarkable. From making dinner reservations to making sure everyone is taken care of in the case of emergency, the Xperitas crew leaves nothing to chance. Knowing that, at any time you need them, before, during, or after a trip, the Xperitas people are no further than the end of a phone line is truly priceless. Since 1999 my students have gained from their experiences in France. Some have returned to visit their host families, some have invited their host siblings to come to the US to visit. Some have returned to France to teach. Some have lived abroad. All of them have been empowered by their experience in France. I have gained as well. 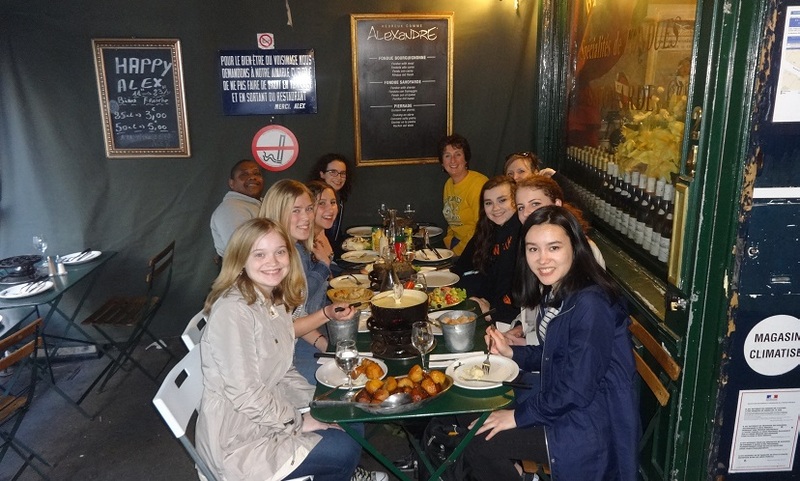 With each trip and each group of travelers, I learn something new about myself as well as learning about France and the French. I have learned that I am stronger than I thought, that high school students rise to accept difficult situations like nobody's business, and I have learned that a good nap can help you get through a lot! I have learned that the French language is not stagnant, that French business owners really do remember their clients, and that when traveling you should have an international plan on whatever phone you use. Through all the good and challenging, Xperitas is there whenever you need them. Cathy Stresing is a French language instructor at Greendale High School in Greendale, Wisconsin.